You might be wondering why my blog is named what it is. Pie? Anna Pie? Well there's a story behind that, and one that goes waaaaaaay back. Back to when I was little bitty. My parents called my Sweetie Pie and I came to believe that that was my middle name. On the (very) rare occasion that I would talk to someone other than immediate family, I would tell them my name was Anna Sweetie Pie Sauer, which came out more like Anna Schweetie Pie Schauer, according to my parents. Well, it stuck, and over time, it got shortened to Anna Pie. And it still stuck. To this day, my parents call me Anna Pie, Miss Pie, Pie, AP, Anna Pea Pie Po, etc. Trent picked up on it too and often calls me Annie Pie or Sweetie Pie. I love it. Mostly I love that my nickname is not Anna Banana and doesn't come with a song. So anyway, I am Pie. The end. Blogging is kind of a new thing for me, unless angsty Xanga posts back in the day count. Didn't think so. Why am I starting a blog? 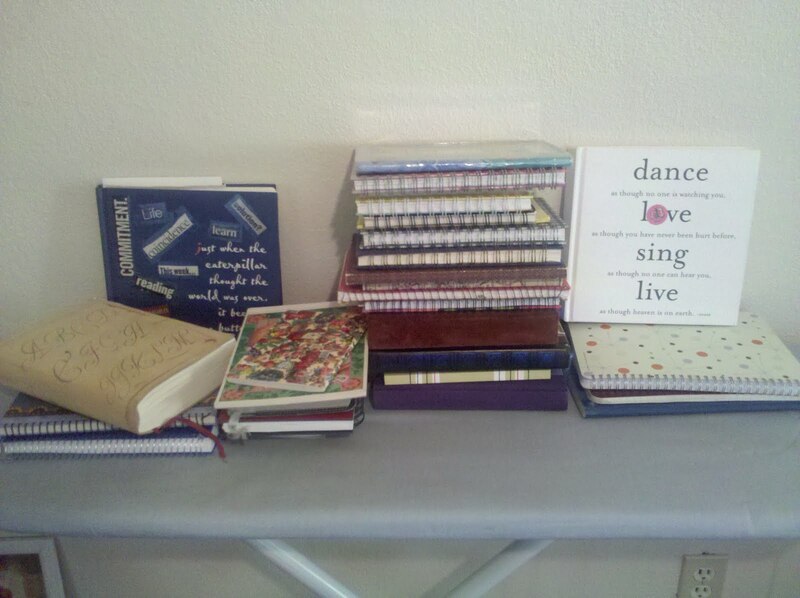 Here's why: These are my journals. I kept journals consistently from the time I was ten until my junior year of college. That's when I started working while in school and my accounting classes got harder, taking up any time I previously had for journalling. I've missed it since. 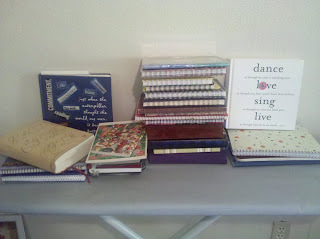 My life is still far from calm, but I'm hoping maybe I can bring back journalling in the form of blogging. We'll see how it goes!